Aussie pop sensation Lenka was in Singapore on Tuesday night (1st December) at TAB for a one night show in support of her latest album The Bright Side. Most of you would remember her by the jingle “Everything at Once” which was featured in a Windows 8 commercial, or The Showwhich found the way to our hearts through TV-series Ugly Betty and film Angus, Thongs and Perfect Snogging. Seven years after her debut, Lenka showed us she is still going strong. The 39-year-old’s charm on stage was undeniable, and her vocal prowess shone throughout the 90-minute set. 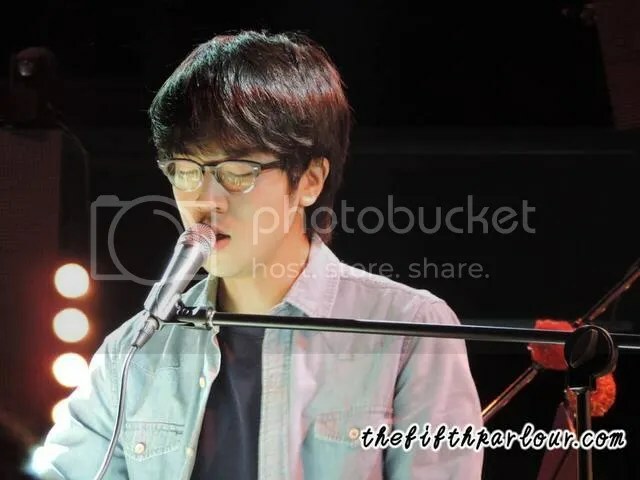 Local musician Charlie Lim opened the show and played some of his own music and several tastefully-done mashups including Imogen Heap’s Hide and Seek and Drake’s Hotline Bling. It was a cold Tuesday night after the rain but Charlie’s mellow, acoustic set warmed our hearts and set the tone for a memorable night ahead. Charlie ended his set with his song Bitterand thanked the audience for being “very, very polite”, before stepping off the stage. 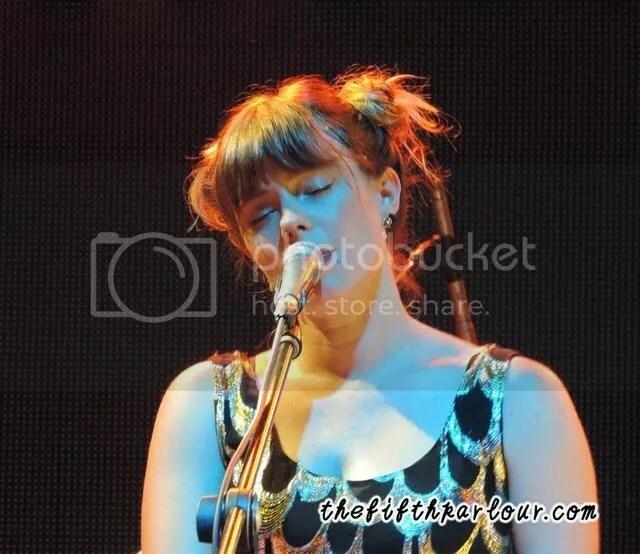 Donned in a dazzling gold-black dress with her hair up in two adorable buns adorning the sides of her head, bright-eyed Lenka took to the stage after a short intermission. Her renditions of songs from her latest album The Bright Side were refreshing to hear, and crowd favorites like Heart Skips a Beat and Trouble is a Friend were performed effortlessly with her honey vocals. Lenka proved that pregnancy does not deter one from having fun as she showed us her moves in what she calls her ‘pregnancy fitness’ as she swayed and danced even with a heavily pregnant belly. The bubbly singer displayed ease on stage and moved around energetically, making sure she utilised every inch of the stage. Halfway through the show, fans got treated to a very special moment as Lenka perched herself at the edge of the stage and sang directly to the crowd. 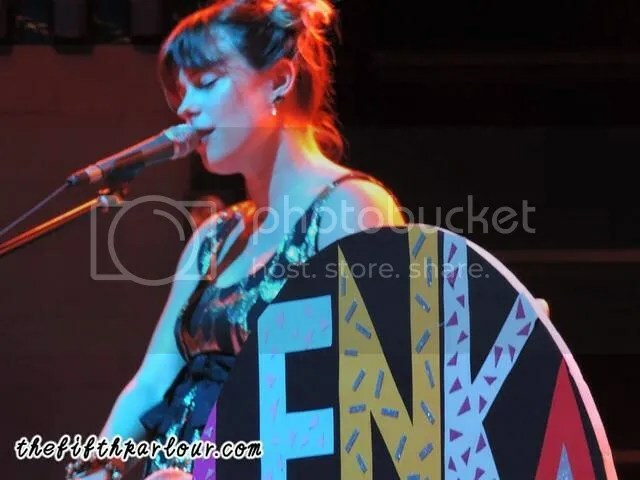 As Lenka poured her heart out to the crowd with her songs like Two Hearts, phones and cameras were kept away as the crowd soaked in the moment and sang along with the singer. Between songs, Lenka shared with us bits and pieces of her life, and she chatted on mostly about her current stage of life, which is her pregnancy and how it has inspired her to write songs. Apart from her catchy tunes, the crowd came to love Lenka even more with her infectious smile and quirky personality. Towards the end of the show, Lenka surprised the audience further as she unleashed her “Adele-mode” and sang a series of heavily emotional songs, unapologetically moving the crowd close to tears. Find A Way To You was a song that tunneled straight to my heart and made me almost tear up. We were really impressed by Lenka’s control of her vocals and even more awed by the emotions Lenka portrayed while performing. At the end of the show, Lenka shared with us the joy she felt when she heard that her songs have become other people’s first favorite song. She sang her first ever favorite song, Walking On Sunshine,and ended the show on a cheerful note with her most famous track to date The Show as the crowd sang along. The Fifth Parlour would like to thank Colin from Impact Entertainment Group for the invite to the show.